The riders of the Umpqua Velo Cycling Club have been blissfully enjoying some of the best routes in our state for many years. They know all the best the hidden gems, winding roads and backcountry roads nestled in their down-state region. And now, these generous riders are sharing all their secrets with us. The Vineyard Tour is a gorgeous ride through the Umpqua Valley. 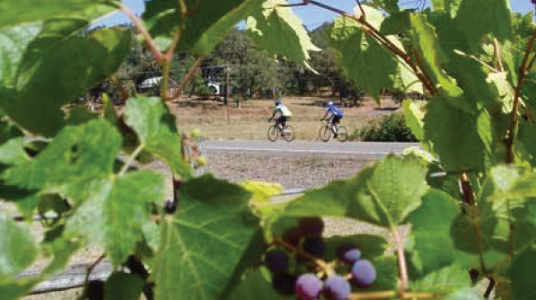 You’ll cruise along lightly traveled roads as you pass by dozens of vineyards, wineries, forests, fields and orchards. Select from routes of 15 to 100 miles, each one a delightful tour. For the full experience, opt for the full century. This route meanders along the powerful and scenic Umpqua River and and includes four optional winery stops. With only 3,200 feet of elevation gain, this is a very approachable and well supported century ride.